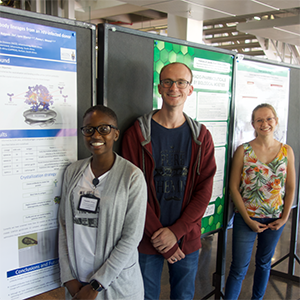 A workshop for PhD students and early career researchers on Biophysics & Structural Biology at Synchrotrons was held recently at the University of Cape Town (17-24 January 2019). The workshop introduced young South African researchers to the power of synchrotron based facilities and addressed the technology required to go from gene to structure. Topics covered included, advanced strategies for crystallization, high-throughput data collection by X-ray diffraction, single particle cryo-EM, and X-ray tomography. Participants had the opportunity to present their own work during the workshop and prizes for the best posters were sponsored by Instruct-ERIC. The workshop in Cape Town was part of the new Synchrotron Techniques for African Research and Technology (START) initiative, a £3.7m project funded by the UK Science and Technologies Facility Council. START is led by Diamond Light Source, focusing on research that is important to development in Africa in the areas of energy and healthcare. Diamond Light Source is part of the Instruct-UK Centre, providing access to a range of synchrotron based techniques for the structural analysis of proteins. Workshops such as these are particularly significant in building up the global structural biology community, which is one of the aims of the Instruct-ULTRA project, seeking to widen access to structural biology techniques and expertise in new regions.